Wheat Berries? 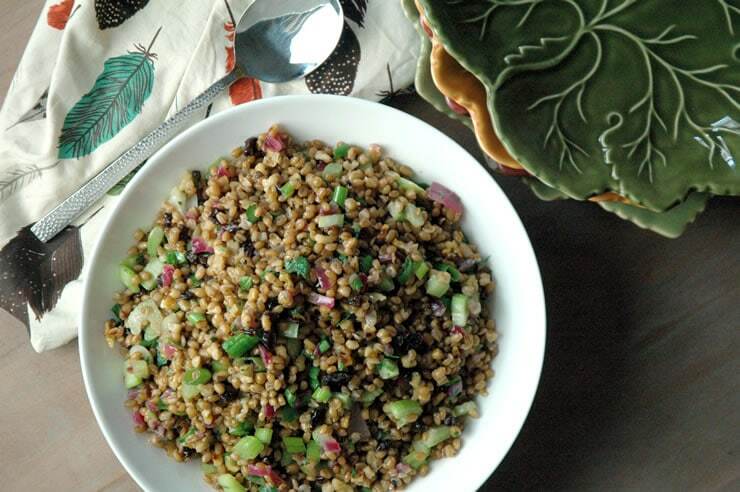 What are Wheat Berries, anyway? I know that was my thought when I put that first spoonful of Wheat Berry Salad on my plate at a luncheon almost ten years ago. I was at a friend’s house and she had, as usual, an unbelievable display of perfectly prepared dishes laid out – grilled seasonal vegetables, poached salmon, sliced medium-rare filet, a mixed field greens salad and of course the wheat berry salad. At first bite it has an earthy warmness to it, a tad nutty but only slightly, and depending on what other ingredients are mixed in, the wonderful ability to suit any season. Technically speaking, wheat berries are the whole-grain form of wheat seeds, the complete grain before it has undergone any processing – which couldn’t be better for an October Unprocessed recipe! They are the original source of all wheat products before any refinement, and are high in fiber and protein-packed. 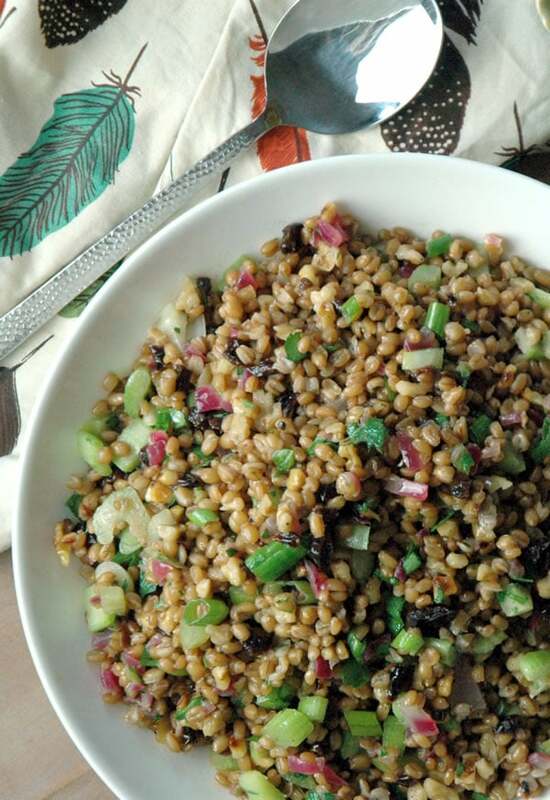 But why I really love wheat berries is what they bring to the table. They are awesome as a stand-alone salad for a quick meal on the go, the perfect companion to a protein for a heartier meal, or warm them, splash on a touch of milk with sliced peaches and you have an exceptional addition to your brunch table. And the last reason I love wheat berries, if you hadn’t noticed, is that they are a cute little grain that adds visual texture and appeal to your table, and we all love that! This is awesome as a stand-alone salad for a quick meal on the go, or the perfect companion to a protein for a heartier meal. In a large pot place the wheat berries and water to cover plus 2 inches over the top of the wheat berries. Bring to a simmer and cook uncovered for 1 hour, or until tender. Drain and let cool. In a medium skillet heat 2 tablespoons of olive oil and sauté red onions until translucent. Remove from heat and add remain 2 tablespoons of olive oil and 2 tablespoons of lemon juice. Toast the walnuts in a dry skillet over medium-high heat until fragrant, 2 to 3 minutes. 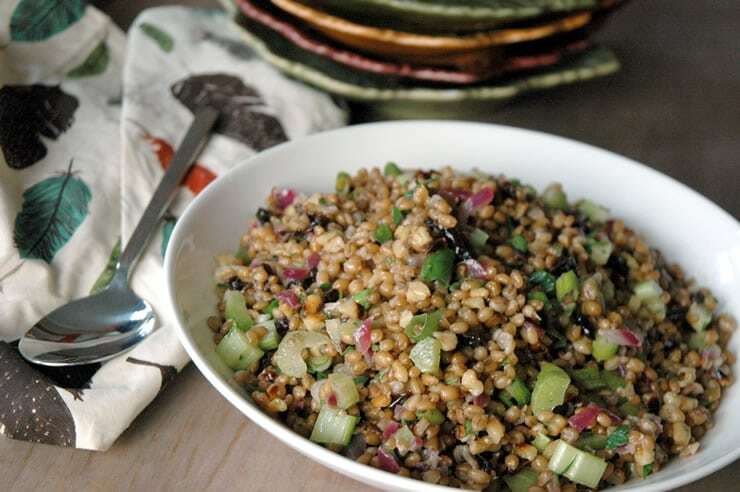 In a large bowl, combine the wheat berries, red onions, walnuts, celery, dried cherries, scallions and parsley. Season to taste with salt and pepper. Allow salad to sit for 30 minutes to overnight to absorb the flavors and serve room temperature. 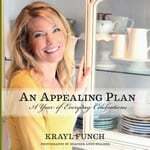 An accomplished food and lifestyle expert, Krayl Funch’s passion for living well is evident in everything she touches. Raised in Connecticut, just outside New York City, and currently residing in Tampa Bay, she easily blends New England sophistication with Southern hospitality on her site, An Appealing Plan. Along with continuing to work with clients and brands, Krayl’s current projects include publishing of her first full-color book, An Appealing Plan: A Year of Everyday Celebrations, filled with appealing images, seasonal inspiration and tempting recipes designed to encourage others to celebrate everyday and each season to its fullest. You can also find Krayl on Facebook, Twitter, Pinterest, and Instagram.